The human body functions within a very narrow temperature range of less than 1°C from 36.5°C to 37.2°C. Outside of this range our cells and enzymes begin to fail. Heat is mostly gained from the environment and muscles during exercise. Heat loss in hot environments is mainly by evaporation of sweat. When heat gain is greater than heat loss, the body temperature rises above 37.2°C and heat illness occurs. The transfer of heat to the surrounding environment through electromagnetic radiation. (If the environment is warmer than the body, the body will absorb heat). The transfer of heat via the skin and object via direct contact. Cooling of the body when sweat evaporates on the surface of the skin. Transfer or loss of body heat through the air surrounding the body – such as wind chill or fanning. Evaporation: The body's principle method of heat reduction is through the evaporation of sweat. In order to sweat the body needs to be adequately hydrated to compensate for the loss of water through the skin. Without fluid replacement the body will eventually go into shock (heat exhaustion). Convection: Increasing air movement over the skin by wearing loose clothing and fanning will increase the effectiveness of heat loss through sweating. The human body is good at adapting to the environment and can withstand 1 degree or more of change without consequence. 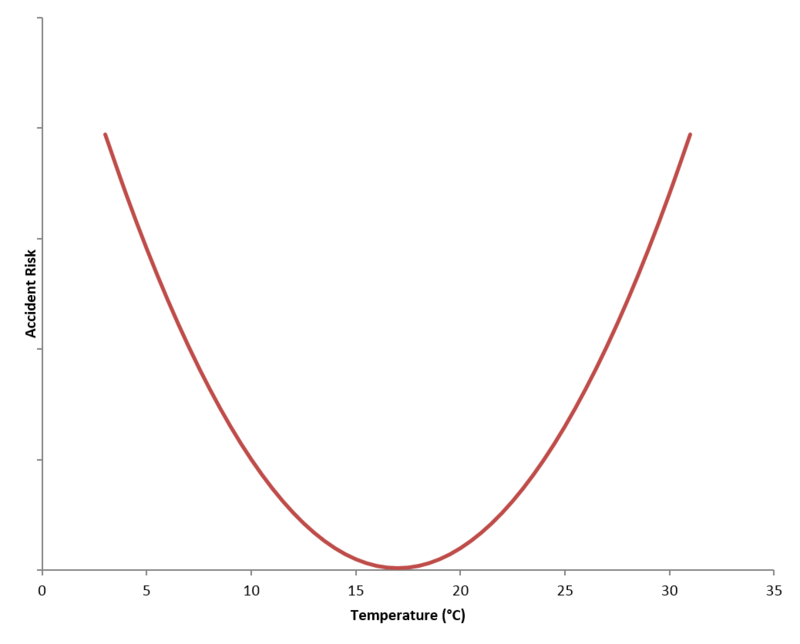 The body's principle method of heat reduction is through the evaporation of sweatradiation of excess heatconduction of heat . Increasing air movement over the skinyour blood flow by wearing loose clothing and fanning will increase the effectiveness of heat loss through sweating. 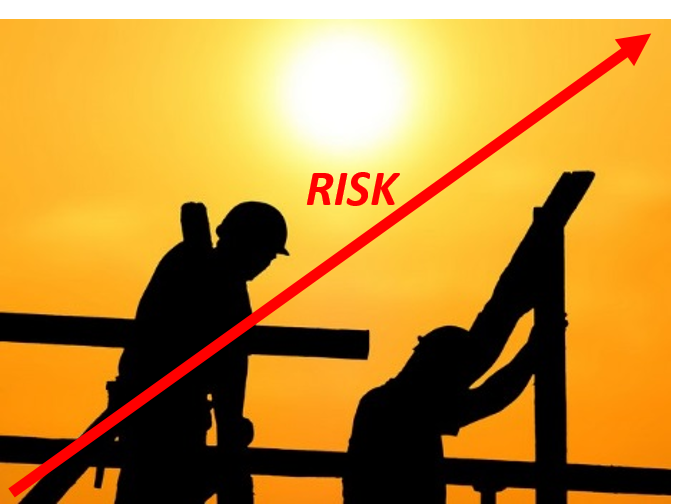 Which of these are risks of working in hot environments? You can probably work as hard and vigorously as when you're in more moderate climates without putting yourself at additional risk in a hot environment. Ensuring that you stay well-hydrated will lessen the risk of contracting heat-related illness. The amount of rest & sleep you get has no impact on risk to you or the work you preform in hot environments. Coming directly from a significantly cooler environment may also put you at greater risk - including air conditioned environments. The PPE you wear has no influence on how well you're likely to perform in a hot environment. First Aid: Cool down, wash affected areas. Cream may reduce irritation and itchiness. Light headedness, feeling dizzy or fainting in a hot environment. Hot temperatures cause the blood vessels to dilate and this drops the blood pressure. When exerting or standing up too fast, the brain gets insufficient blood which causes the dizziness or fainting. Stop the activity and sit or lie the person down. Cool and fan person and rehydrate them with water. If fainting occurs, raise the legs – recovery is usually instant. NB: This is a warning sign of a more serious heat illness and crew must be allowed to rest and cool down for a few hours before returning to duties. Due to long periods of sweating in hot environments the body looses so much water it goes into hypovolemic shock. Heat exhaustion is a serious condition and requires medical attention. It often presents with feeling dizzy, nausea, rapid pulse rate, fatigue, mild confusion, headache and poor coordination. Remove the person from heat to a cool environment. Remove thick clothing and fan them. If able, encourage them to drink water. If they vomit, a drip is usually required to replace the lost fluid and salts. If untreated or if the person continues to be exposed to the hot environment, heat stoke can develop rapidly. Heat stoke is a medical emergency. As the shock from heat exhaustion worsens, the body no longer has sufficient water to sweat and therefore cannot cool itself at all. The core temperature raises rapidly to a point where the proteins in the body begin to break down. Death can be rapid. The most common signs are changes in behavior and level of consciousness. Slurred speech and incoordination. Victims may start having seizures. The skin is often dry as there is no longer enough water in the body to produce sweat. The victim requires cooling down very quickly and intravenous fluid replacement. Remove them from the hot environment, remove clothing and wet them with water and begin fanning to increase evaporation and heat loss. Avoid baths of ice water as this may cause the temperature to fall too rapidly. Know the temperature and humidity levels you are working in - temperature monitoring saves lives! Don't work alone, and watch for signs and symptoms of heat illness in your team. Protect yourself with a hat and sunscreen. Wash and change work clothes regularly to remove sweat and salt crusting layers to improve breathability and cooling. Use fans to increase body heat loss by convection in enclosed areas. Gradually build up to heavy work tasks and plan strenuous activities for cooler times of the day whenever possible. Where appropriate, use power tools or lifting/carrying aids to reduce workload. Heat index monitoring saves lives. It works out the actual stress index on the body by factoring in the air humidity. The higher the humidity the less effective sweating will be for the body because evaporation is reduced. When the heat stress levels are known – Workers can adapt their work practices and appropriation actions can be taken. Drink water early and often. Aim for one cup (250ml) every 15 minutes in hot climates. Don’t wait to be thirsty to drink water. Aim for pale yellow urine. Water alone is usually adequate – sports drinks are not essential for rehydration. Salt tablets are dangerous and must not be taken. Be aware when travelling from cold climates to hot climates that the body takes about 1-2 weeks to fully acclimatize and adapt to the increased sweating, salt loss and heat stress. Workers in air-conditioned areas will take longer to acclimatize to the hot outside climates. Acclimatization is maintained for about 7 days in cooler climates before being lost (such as when returning home on rotation).